Creating a feed blend for chickens that includes mango seed kernels, among other nontraditional ingredients, isn’t something that would occur to most people. But this is just the kind of ‘blue ocean’ thinking that Mene Blessing Oritseweyinmi encourages young social entrepreneurs to pursue when contemplating the sustainability of their ventures. 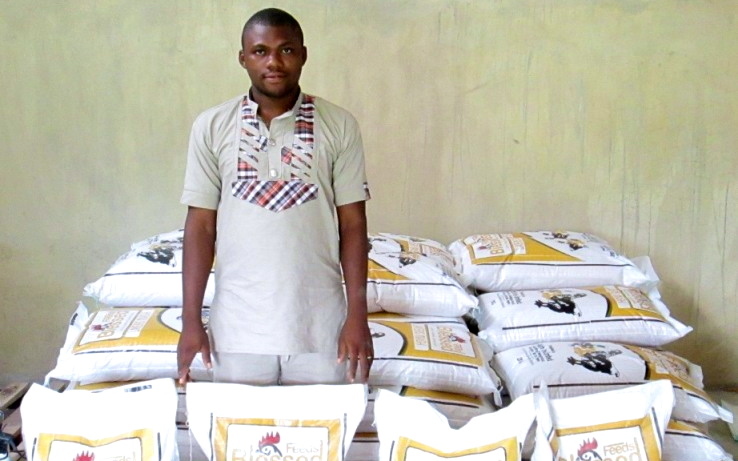 Mene is Co-founder and CEO of UNFIRE, a social enterprise in Nigeria that creates low-cost animal feeds to help smallholder farmers make more money. With 80 percent of the nation’s poultry and livestock farmers living under $2/day, Mene’s solution allows them to purchase feed at 60-80% of the going rate. “It’s high time that young social entrepreneurs begin to craft sustainable and commercial solutions to development issues so that you do not rely fully on donations,” urges Mene in this video interview. Mene’s work is indicative of a growing trend in Africa of young people exploring new business opportunities in the agricultural sector. But his solution isn’t just about making money. The UNFIRE feeds result in more protein rich foods. UNFIRE’s hybrid model also includes an educational component that empowers rural women with the skills and materials they need to start their own agricultural enterprises. When it comes to building a successful—and sustainable—social enterprise, Mene encourages youth to look for a need in the community that can be tackled using alternative resources that result in an effective product that can be marketed at a lower cost.